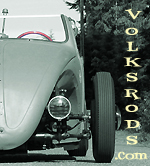 How to build a volksrod..OFFICIAL NEWBIE GUIDE!!! Last edited by Dbug41; February 26th, 2010 at 06:23 PM. #1 click on the link and read everything. Twice. "**Mounting & steering shaft extension hardware NOT included. ***"
Question: Exactly what hardware is required, and who sells it ? Last edited by Unkl Ian; January 30th, 2010 at 12:51 PM. the hardware required to mount the beam extender depends on how your going to do it. 1. (4) 4 in 1/2 inch grade 8 bolts. 2. (8) Thick grade 8 washers. 3. (4) Split lock washers. 4. (4) Grade 8 nuts. 5. You will reuse the stock bolts that mount the beam to the frame head. Use these bolts to attach the extender. Last edited by Dbug41; February 15th, 2010 at 08:51 PM. Im a little confused on the options offered. ie bj/bj bj/lp etc. it that referring to the type front end its mounting to? or tie rods? is one way better than another? for example i have a 1974 standard, plan on replacing with an adjustable front end and 10" extender. by the looks of it they all mount the same or am i missing something. being that im basically starting from scratch i wanna make sure i continue to move in the right direction, as i dont have the money to be ordering incorrectly! im am a newbie with volks so the more info the better. thanks in advanced! The spacing on the tubes is different, so you can't bolt a bj beam onto a lp pan. Link Pin was preferred by the Baja guys, because it allowed more wheel travel. Some people prefer the look of the Link Pin shock towers. Both work basically the same. Nyloc nuts where ever possible. 1. On the 10" ball joint / ball joint - 2 1/2" drop, corrected for castor. Would I need to cut a notch in the hood/trunk/lid up front? 2. And would drop spindles, put the frontend dragging the ground? 3. Do you make a reverse hood hinge that mounts to the beam extender. I'd totally agree with Uncle's statement, "Some people prefer the look of the Link Pin shock towers"....you betcha! Link pin suspension was favored by us old offroads because it was much sturdier than the ball joint version! Stock ball joints themselves would fail under the strain of offroading. The boots would rip and before long 'blamo' apart comes the ball joint and race over! Kinda the same when lowering the frontend excessivly....(even with lowering ball joints). The ball joints just don't hold as well as the good ol' king/link pin suspensions. I just installed my 8" extender today...My tips would be to: 1st disco the battery,drain and remove the gas tank. Disco to steering column and remove the shaft for later. Then only unbolt the body from the pan(Loosen the 2 rear shock tower bolts to the max-remove the rest. )...do not remove it completely. Jack up the front of the body till you have enough clearance Clarence to roll the front beam out(leave the tires/rims on!). Bolt up the extender and lower the body down to see exactly where you want to chop/hack/grind/torch/cut the inner quarter panels and spare tire well. Mark it and raise it back up & start cutting. Once you have enough removed (you think) roll your beam back in and loosely bolt it to your extender to see what more you want to cut away.. AND remember to allow enough clearance for your tie rods when the suspension is bottomed out! Took me less than 30 mins. Still have to deal with brake lines and the steering shaft mods..
Last edited by Al Low Ha; January 30th, 2010 at 03:57 PM. Now we're talking!!! The previous posts to this thread hellp me SO much. Ended some of the mystery of the build. Good to know we can use common hardware for at least bolting the extender up to our current frame head. The nyloc idea of Unk's seems like a good one to me. A trip to Lowes should solve that problem. The more I read, the more I want to do this to my T1/T4. As I said in a previous post, If a VR brother in FL wants to make a few extra $$ on a weekend and you have a small portable welder and skillz to help an ol' pegleg VR do this in a couple in months, please contact me. I went the double nut route only because I purchased grade 8 bolts, washers and nuts. Although a standard nyloc nut after a grade 8 nut would be good. Do they make Nyloc nuts in grade 8? I tapped the threads all the way thru, and used double nuts. I also added red loc-tite to everything. everyone has a different way of doing it so it would be in someones best interest to learn the search function. Seriously if you are new here please use it. It is your absolute best friend, it will not judge you, it will not call you an idiot, or lazy all the info is here already for you to make that discovery of knowledge to empower yourself and get to it! Last edited by Dbug41; January 30th, 2010 at 09:13 PM. I noticed it your picture of the mounted extender that there is a brake master cylinder with a resivour on top. What is that from and will it fit on my 63? Also I plan on using 1/4 plate for this extender, is that too thick? I don't mind adding some weight to the front end. If you extend more than 8 inches to you need to add more than 8 degrees of caster to the front end? I want to extend the front end initially 10 inches on my first version but may want to go 12 inches. Do you need to add a degree of caster per inch of stretch? It's not the size of the shop it's what you do with the tools inside. volvo 240 i believe reservoir but i am sure i will be corrected if i am wrong. 1. I noticed it your picture of the mounted extender that there is a brake master cylinder with a resivour on top. What is that from and will it fit on my 63? 2. Also I plan on using 1/4 plate for this extender, is that too thick? I don't mind adding some weight to the front end. 3. If you extend more than 8 inches to you need to add more than 8 degrees of caster to the front end? I want to extend the front end initially 10 inches on my first version but may want to go 12 inches. Do you need to add a degree of caster per inch of stretch? I used 6mm (1/4") plate for the last extension I built, too. Yes I want a combo of the gasser long wheelbase and the hot rod look. I am thinking of adding an old short tractor style grill like off an old ford 8N or something. enjoy A Low Ha ! sent it today "priority"